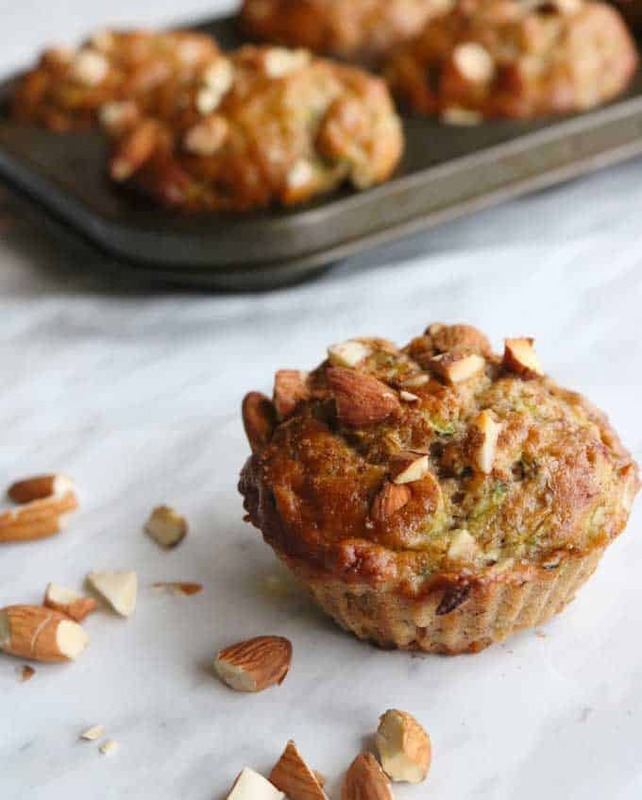 SO-I’m in full-on healthy eating mode now that I’m home and excited to share this super delicious muffin recipe packed with all sorts of good-for-you ingredients! These little powerhouses are packed full of banana, zucchini, almond and made with almond meal and whole grain flour. 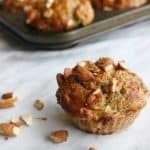 They are about as healthy as muffins come in my book, and they cook up moist and delicious without the guilt! Let me know what you think! 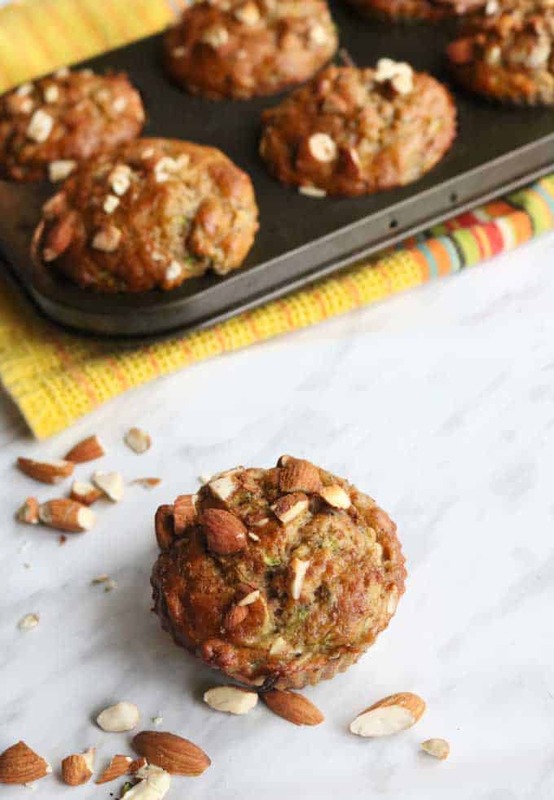 Healthy and delicious, these Almond Banana Zucchini Muffins are easy to make and won’t leave you feeling guilty! Preheat the oven to 375 degrees. Spray a muffin pan with nonstick spray and set aside. Add remaining wet ingredients (excluding zucchini) to the mashed banana and mix well. into the cups. Top each muffin with almonds and cinnamon. Bake for 22 minutes. Serve warm or cool.